options with metal frame or with no frame. 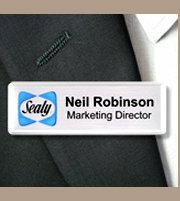 that are usually printed on printed name badges..
our position, and the company that you represent. 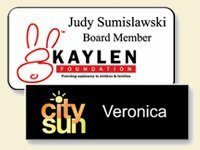 own names and logo on disposible transparent inserts. You have to see these badges! They are fantastic. 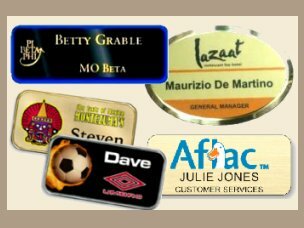 Whether you need a standard, engraved, magnetic, custom shaped or other type of name tag, we can design a badge to meet your unique needs.